Bella Coola Heli Sports won the World’s Best Heli-Ski Operator category at the 5th Annual World Ski Awards, the only Canadian ski business to land an international award. The World Ski Awards was established to push the global ski industry towards excellence by rewarding resorts, properties and businesses. 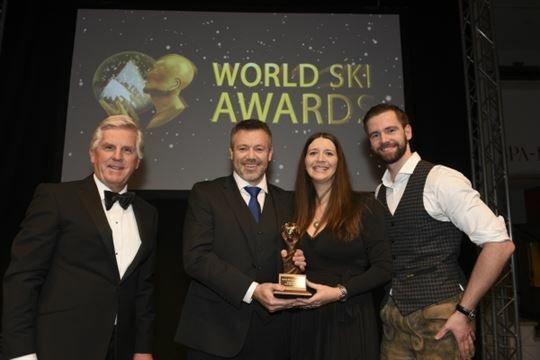 Each year, hundreds of thousands of skiers, media and travel professionals vote for their favourite ski businesses in world categories and for national categories for the top 25 ski tourism nations. Categories include Best Ski Resort, Best Ski Hotel, Best Ski Boutique Hotel and Best Ski Chalet. Bella Coola bases out of four different lodges in a remote area of the Coast Range of coastal B.C. They focus on small groups and steep terrain. The operation beat out other Canadian contenders for World’s Best Heli-Ski Operator including Stellar Heliskiing, Whistler Heli-Skiing and Selkirk Tangiers Heli Skiing, as well as Arctic Heli Skiing from Iceland. In the national category Whistler businesses dominated. Pan Pacific Whistler Mountainside won Canada’s Best Ski Hotel and Summit Lodge Boutique Hotel won best boutique hotel. Lake Louise Ski Resort took him best Canadian ski resort and Revelstoke’s Bighorn won best ski chalet. Go to http://worldskiawards.com/winners/2017 for a complete list of winners and nominees.